Karla Darcy and 99 Authors 99 Cent Grand Giveaway! 99 Authors! 99 Books! 99 Cents and $990.00 worth of prizes! Miss Darcy is so excited to be a part of this huge Giveaway. Devil take it! Christmas is exciting enough but now the opportunity to win big prizes is something that has all the Daughters of Sweet’s Racing Club (DSRC) aflutter. Here’s your opportunity to meet 99 authors from around the world being featured on Amazon. Each author will have one book for sale for $.99 for one day. What a wonderful way to do one stop Christmas shopping. Buy a book now and schedule it for Holiday delivery! And major contest prizes! $990.00 in prizes! 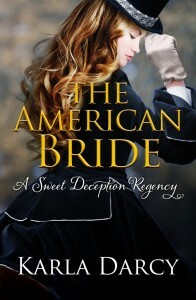 Miss Darcy is so excited that The American Bride is one of the featured books. Virtuous“You’ve heard the whole story of the American Bride, I’m sure. Miss Darcy recorded it HERE. As most of you know who have followed Miss Darcy’s correspondence for several months there has been nothing but rumors and gossip surrounding the gentlemen of Sweet’s Racing Club. Those ladies at the DSRC have so many secrets! The Marriage Wager and Masked Heart Wards’ descendants astonished Miss Darcy, and the Five Kisses was worse than the Masked Heart. Why, the only innocents were Gillian and Chad in the Christmas book Five Kisses. Miss Darcy was partying with the Daughters of Sweet’s Racing Club at their Christmas Gala. It was great fun and she managed to win at whist. Although we’ve tried over the years to copy some of the traditions of (a social club during Regency times where both sexes could mingle) we decided that tea and lemonade were not appropriate for the holiday party. Wine was chosen as the beverage of choice over the objections of Alicia Weathersfield, our illustrious president. Instead of thinly sliced bread and butter and pound cake we opted for a lively cheddar, crackers and HERE. Several of us suggested cherry tarts since they were the favorites of Devereaux Havenhurst in The Marriage Wager. Ah what an exciting story it is. Miss Darcy would really appreciate it if you would check out the book on Amazon and right underneath the title of the book there’s a small box that says LIKE. If you would click on that box Miss Darcy would be in high alt. To see the Amazon page click HERE. 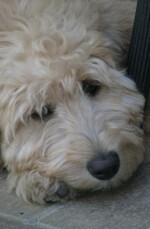 Now Miss Darcy is aware you are anxious to learn about the Holiday Blog and her own giveaway prizes. From today until Friday you will have a chance to meet 60 independent authors and win some fabulous prizes. To enter Miss Darcy’s raffle and to hear the rest of the details CLICK HERE! 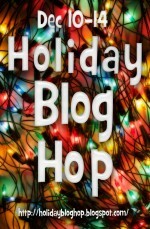 And after you’ve entered to win at Miss Darcy’s page check out the rest of these amazing chances to win at The Holiday Blog Hop! main page! Miss Darcy loves to hear from you! Although her correspondence is extensive, she always has time for faithful readers. She answers all inquiries as etiquette requires! Three fastest ways to reach her? Leave comments below this post. Miss Darcy loves these. Is Your Marriage Stable? An easy Quiz! Yesterday Miss Darcy found a quiz in one of those trendy women’s magazines. It was designed to help you discover if your marriage could endure the stresses of retirement. If you answered any questions wrong, your marriage was as solid as a termite infested outhouse. Question: If you only have one car, do you share it equally? My condition for Bill’s retirement was two cars. I’ve known too many couples who divorced over the car issue. Men retire. Women never do. They still have the same need for the car for all their important errands. Bill drives to the golf course, to the grocery store and to Home Depot. Although a mature, bright adult, once behind the wheel, he loses all sense of time. “I’ll be back in twenty minutes. I’m just going to pick up a lug wrench.” He could be gone for days, while I waited for that car. In any hardware store, a man can spend six hours in the nuts and bolts aisle, drooling over the endless sizes, not to mention the section of toggle bolts. Did you ever see anyone toggle? Question: Do you wish you could go somewhere without him? Of course I do. Being together is great but give me a break. Every day? When the kids were little, I never went anywhere without one or both clinging to a leg or some other appendage. In those days when I had a really bad day and wanted to be alone, I usually ended up at Walgreens. By the time I got everyone settled for the night, that was the only place open, except bars. Since Bill retired, I found a 24 hour Walgreens, for my alone time. I usually go after dinner when he’s cranked into the “lights out” position on the recliner. I never buy much. I just roam the aisles and talk to myself until the clerks begin to give me funny looks. Then I go quietly home. Question: Do you discuss interesting subjects at dinner? During JEOPARDY? Lets face it, not much has happened since breakfast unless the house has been broken into or a storm surge has wiped out the neighborhood. The TV keeps us from staring mindlessly at the mashed potatoes. We try to save what counts for conversation for those nights out when we’re alone in a restaurant that doesn’t have waiters in paper hats. That’s the time when we pretend we’re dating again and the subject of children, grandchildren and the state of the economy is off limits so we can happily digest the meal. Question: Do you ever feel your home is a jail? No. In jail, you don’t have to cook. Question: Are you always cheerful at bedtime? Generally. But the nights I’m not, Bill has made some unfortunate comment like, “I think I’ll turn in. I’ve really had a tough day.” or “Have you gained weight this week?” This leads to one of those arguments that involve a general breakdown of reasonable thinking. Since I always liked his mother, I steer clear of questioning his ancestry and just bring up all the things he’s forgotten to do since we’ve been married. Question: Do you avoid telling him bad news? Are you nuts? Why rush to tell him I scraped the side of the car when the chances are good he’ll never look at the passenger side? Why ruin his day by telling him I maxed out the credit card on a dynamite sale at the Pottery Barn? All in good time. Question: Do you ever look at your spouse and wonder why you married him? Daily. Even after all these years, it’s a sheer wonderment to me. How could I have been so smart to choose someone like Bill to spend my golden years with? I guess I was just lucky he asked. 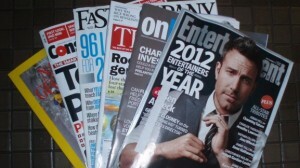 Do questions in magazines make you laugh? Do you look at your relationships and wonder why it’s worked out so well? Leave a comment below. The American Bride! A Proxy Marriage? Miss Darcy Cries Fustian! 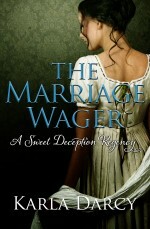 Miss Darcy has been trying to cut through the gossip concerning Lord Wilton’s proxy marriage to an American. Most would say, “What good can come of such a misalliance?” Learn the true story in The American Bride. Sunk in her own despair Cara failed to note the uncertainty of the Duchess’ appraisal. The older woman could not dismiss the note of distress in the girl’s voice nor the blushing agony in her face. She knew the girl was correct. The things she had heard about Wilton left her in little doubt that he would immediately bed the beautiful girl. Even at her advanced age she chafed at her granddaughter’s predicament. The Duchess left her chair and rummaged in the pigeonholes of an inlaid rosewood desk. Pulling out a letter she gave a sigh of satisfaction and returned to her chair. She squinted at the pages for several minutes and then smiled at the curious girl. “Indirectly,” the Duchess said, smiling at her granddaughter’s eagerness. “About three years ago Lord Wilton’s brother and his wife were killed in a carriage accident. There were two children and they are wards of Wilton. They live at his country estate and, according to my addlepated friend Netty, they are in need of a governess. The girl laughed deeply, much to her grandmother’s approval. She was a fine healthy animal who seemed to appreciate a good joke. No missish girl, this one, nodded the Duchess. “Do you think you could carry it off?” Liela inquired. “I had a perfectly awful governess after Mother died. Madame Regenard was an absolute dragon.” She jumped to her feet and paced across the carpeting. 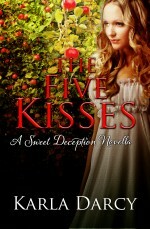 Miss Darcy is well aware that such a disguise could place this innocent girl in considerable danger. Not only her reputation but her very virtue would be at risk. In Downton Abbey, the American bride did save the estate but when the heir died her money was tied to that very estate. There’s more at stake here than financial disaster. Like in Pride and Prejudice, tittle-tattle abounds but the full account in The American Bride is so romantic. You’re dying to learn the rest of the story, aren’t you? To Buy or Download a Sample of The American Bride Click HERE. Miss Darcy loves to hear from you! Although her correspondence is extensive she always has time for faithful readers. She answers all inquiries as etiquette requires! Three fastest ways to reach her? Leave comments below this post. Miss Darcy loves these.